Here are 3 of our guests who shared their amazing weight loss transformations and each lost over 100 pounds. I love how each person’s past struggle and present success is vastly different, yet equally inspiring. 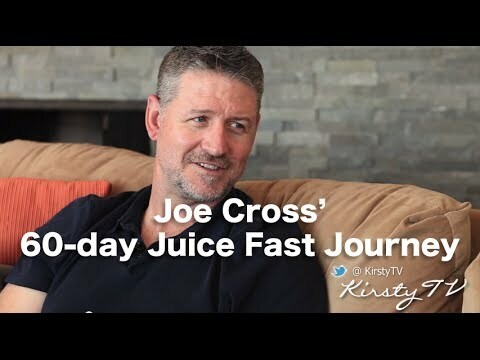 Fat Sick and Nearly Dead, Joe Cross talks about his journey of living solely on juice for 60 days. Fat, Sick and Nearly Dead is a documentary which has now been seen by millions of people worldwide. In this interview, Joe reveals the ups and downs of the 60-day juice fast that saved his life. Read more here. She lost 100 pounds and has kept it off. Her weight loss journey was successful and her story is inspiring! Shannon Hammer was an overweight child that struggled with her weight as far as she can remember. After a lifetime of yo-yo dieting, she was finally able to lose over 100 pounds and has now kept it off for over 10 years. Read more here. David Garcia tipped the scales at 402 lbs and has lost 158 lbs to date after meeting Richard Simmons on the Ellen DeGeneres Show. He’s sharing with us today, the details of his struggle as an obese man, what he did to lose the weight and how he keeps it off today. We talk candidly about the ups and downs of his journey to becoming a healthier person and what it was like for him to be overweight. Read more here.